PITTSBURGH, PA - Presbyterians for Earth Care will present their annual recognition awards at their Annual Meeting and Luncheon at General Assembly on July 5. The William Gibson Lifetime Achievement Award will be presented to Tom Quigley of Glenshaw Presbyterian Church and the Restoring Creation Award will go to Earth Covenant Ministry in Atlanta. Since 1997, Presbyterians for Earth Care (PEC) has given awards annually to recognize individuals and groups/institutions for their forward thinking and leadership in caring for God's creation. Individuals receive the William Gibson Lifetime Achievement Award and congregations, governing bodies, ecumenical agencies, and Presbyterian-related entities receive Restoring Creation Awards for environmental work that is particularly praise-worthy and creative. The Lifetime Achievement Award will be presented to Tom Quigley who is currently the Director/Coordinator of The Garden of Etna, a community vegetable garden which has been quite successful in its first year. When Tom became aware of several grants available to start community gardens in Pittsburgh, he became an enthusiastic supporter of starting a garden in Etna Borough. Working through contacts in the Etna Outreach Partnership, Tom made borough officials aware of these opportunities and spearheaded the effort with the borough manager. Tom was the obvious choice to coordinate the garden which is now planting summer crops. Earth Covenant Ministry in Atlanta will receive this year’s Restoring Creation Award. Earth Covenant Ministry (ECM) is a partnership composed of ten congregations of the Presbytery of Greater Atlanta who direct and implement its mission. ECM seeks to be a tangible resource for congregations of all shapes and sizes in their practice of creation care. Throughout its history, ECM has been a constant presence in its presbytery on the issue of creation care, sustainability and intentional stewardship and actively promotes Earth Care Certification throughout the Presbytery. ECM is also committed to equipping seminarians in the work of creation care by joining forces with Columbia Theological Seminary in Decatur, GA. 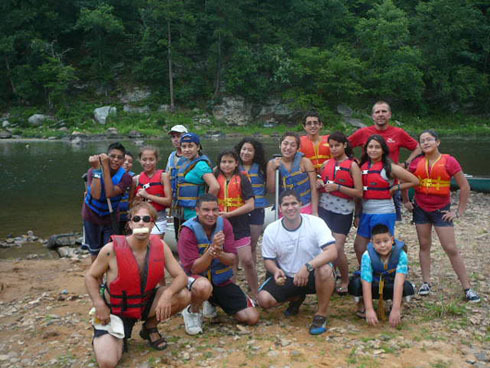 In 2011, ECM launched a new program "Mision Verde" to engage Latino Presbyterian youth in a week-long eco-adventure. ECM continues to strive to be a model for what is possible in other Presbyteries across the country. Presbyterians for Earth Care (formerly Presbyterians for Restoring Creation) was founded in 1995 as a national, grassroots organization to support people of faith working towards “environmental wholeness with social justice." PEC helps the church to fulfill its current environmental policies, to create new policies and practices, and to energize and educate church members about eco-justice - the well-being of all humankind on a thriving earth. 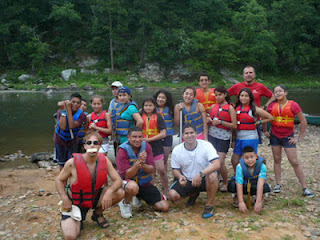 In July 2011 a vibrant group of Latino youth, along with their five fearless leaders, spent the week exploring faith in God's good creation in Georgia as part of Earth Covenant Ministry's Misión Verde. While enjoying refreshing waters, they learned about being good stewards of this precious resource in our midst and responding to the call of environmental justice. As one youth was overheard saying at the close of the excursion, "I came to learn about God and was not disappointed!" *William E. Gibson: Founding PEC member, author and eco-justice advocate, William Gibson was a true earth care pioneer. He served in the U.S. Navy in WWII and earned a Bachelor's of Divinity from Princeton Theological Seminary and a Doctorate in Christian Ethics from Union Theological Seminary New York. He was an ordained Presbyterian Minister. He was in campus ministry at the University of Arkansas at Fayetteville, the University of Pennsylvania, the University of Rochester, RIT, and Cornell University. In 1974 he led in the founding of the Eco-Justice Project which was a part of the Center for Religion Ethics and Social Policy at Cornell. He was editor of the Egg: A Journal of Eco-Justice, for nine plus years. He wrote numerous articles and book chapters and was editor of the book Eco-Justice-The Unfinished Journey. He loved God and humankind his whole life by working for peace, justice, and the environment. He was a part of the Civil Rights Movement in the 1950s and 1960s, spoke out against every war since WWII, was a leading member of the Presbyterian Eco-Justice Task Force, Presbyterians for Restoring Creation, and the Eco-Justice Working Group of the National Council of Churches, and served on the Loaves and Fishes Board and the Fair Wage Coalition in Ithaca, to name a few of his activities over the years.